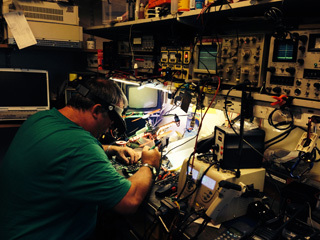 The Shortwave Shop has a full workshop with an experienced team for service and repair of all modern communications equipment. The workshop facilities are approved by Ofcom for servicing and Shortwave Shop is also CAA and Maritime approved. We are also an authorised Icom repairer. We also offer two-way radio programming.